Buying? 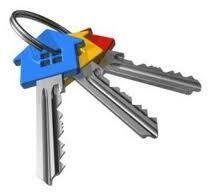 Create a Custom Home Search Account – FREE! Home Buyers: You can create your own Phoenix / Scottsdale Area Custom Home Search with as many searches as you’d like. They will be saved under your account where you can login and see the latest listings anytime…24 hours a day, 7 days a week.You will also receive automated email updates anytime a new listing comes on the market or an existing listing changes within one of your searches. Our house search uses FlexMLS IDX, the exact program that Realtors use so it is more accurate and up-to-date as compared to Zillow, Trulia and Realtor.com. There’s a delay on these other sites so new listings aren’t uploaded right away and they also include homes that are currently under contract. Don’t waste valuable time missing new listings and don’t waste time looking at homes that are under contract and not available. Search Like a Pro! Upon request, we will also include a custom search within your account so you can see Recently Closed Listings to keep you updated on the market. Forget Zillow, Trulia, and Realtor.com …this will allow you to see all of the recent sales including the full MLS listing profile, all of the MLS photos, all of the changes made during the listing period for each listing and much more. We make your home search easy, accurate & constantly up-to-date! We also offer Free & Discounted Listings to Phoenix / Scottsdale Area Home Sellers – SAVE THOUSANDS! See Sellers Page for more information and Contact Us for details. Welcome to AZPrideRealEstate.com, your source for real estate information on buying and selling homes in the Metro Phoenix and Scottsdale Area! At AZPrideRealEstate.com you can find information on the local Gay, Lesbian, Bisexual and Transgender community, as well as information on schools, weather, area information and local resources for Phoenix and the surrounding communities. Charles SantAngelo. MBA of HomeSmart Real Estate, can assist you with a variety of real estate services such as; assisting buyers to find their next Phoenix real estate property or Phoenix home or assisting sellers in selling their Phoenix home or Phoenix real estate property and getting the most for their Phoenix real estate property. Buyer’s Broker – Are you looking to buy Phoenix / Scottsdale real estate? Are you looking for something particular? Please let us assist you find your next Phoenix home. You can create a free account and view current listings that match your criteria and we can represent your interests in a purchase…all for FREE! Buying or selling your next Phoenix Area home or Phoenix area real estate property can be the single the most important transaction in your life, therefore it is important you work with someone who has the experience, professional expertise and integrity to make your next Phoenix real estate transaction pleasurable and stress-free. Real estate and insurance specialist. Proud member of the Greater Phoenix Gay and Lesbian Chamber of Commerce.